Drivers are our 1st Priority! Pass Your CDL Medical Exam! 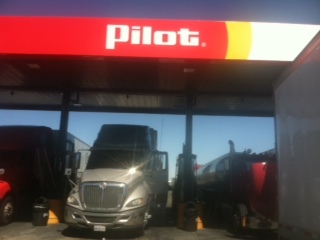 Dr. Bouroumand knows how important it is that you continue your livelihood as a commercial driver. With her extensive knowledge of the DOT Physical Exam medical guidelines, Dr. Bouroumand will steer you through the DOT Physical Exam requirements so you can Keep on Truckin’. Looking for a DOT Physical Exam or CDL Physical Exam in Victorville, California? You’ve come to the right place! 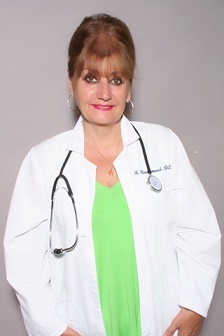 Dr. Keyhaneh Bouroumand is a Certified Medical Examiner in the National Registry. Dr. Bouroumand has a bachelor of Biology from Irvine University in California. She continued her education for doctor's degree in Chiropractic from LACC. in California. She has been in practice since 1994. She served and educated her patients in health, nutrition, and physical activity in her two multidisciplinary clinic with medical and orthopedic doctors. After she trained with Department of Transportation and became National Registry Certified Medical Examiner, she decided to dedicate her practice to a group of professionals in which our economy is dependent on. Dr. Bouroumand and the Department of Transportation share one mission, "Safety is number one priority".